Art produced in the Nordic countries was seen as peripheral in the late nineteenth century, the period in which the "Modern Breakthrough" was understood to occur locally. By the time of the 1912 Sonderbund exhibition in Cologne and the Scandinavian Exhibition in the US in 1913, a strong Nordic presence signaled that the periphery had become central; the art market in the 1980s suggested a second spike of interest. Appeals to “the North,” with its associations of climate, temperature, and temperament; and carrying hidden or overt ethnic and topological associations; have often accompanied the identities of the artists who pass into the international art world. 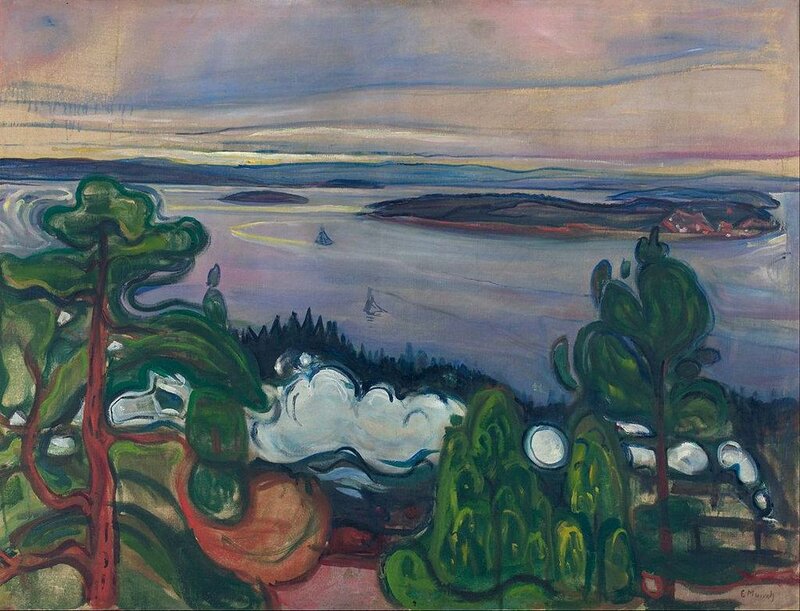 This conference examines the paths, strategies, critical relationships, gallery alliances, curatorial efforts, artist-driven organizations, cult of celebrity, national identity initiatives, and other pathways through which Edvard Munch and his contemporaries entered the international art market and critical discourse. Papers will consider individual artists, debates around national identity, collecting patterns, ethnic mythologies, individual exhibitions, universal expositions, critical writing, gallerists, collectors, technoscapes, and other pathways and mechanisms by which Nordic artists, and Munch in particular, became and continues to become part of international networks and markets. A 500-word proposal and a curriculum vitae (including email address) should be received by the steering committee by May 15, 2017. Please write your name and affiliated institution (if any) at the top of your proposal. The proposal and CV should be sent as attachments to an email sent to Patricia Berman at Pberman@wellesley.edu. Your participation will be confirmed by June 8, 2017. This conference is organized by the “Munch, Modernism, and Modernity” research network, sponsored by the Munch Museum, the National Museum of Art, Architecture and Design, and the University of Oslo. Questions may be addressed to Pberman@wellesley.edu.